Media Credit: Olivia Harding | Hatchet Photographer Held annually, the one-mile Cupid’s Undie Run raises money for the Children’s Tumor Foundation. Even in below-freezing temperatures, this year’s run attracted enthusiastic and dedicated runners. Media Credit: Olivia Harding | Hatchet Photographer Mark and Sarah Woodward, husband and wife, do planks together in below-freezing temperatures during this year’s Cupid’s Undie Run. Runners wore just underwear and raised money for the Children’s Tumor Foundation during the event. 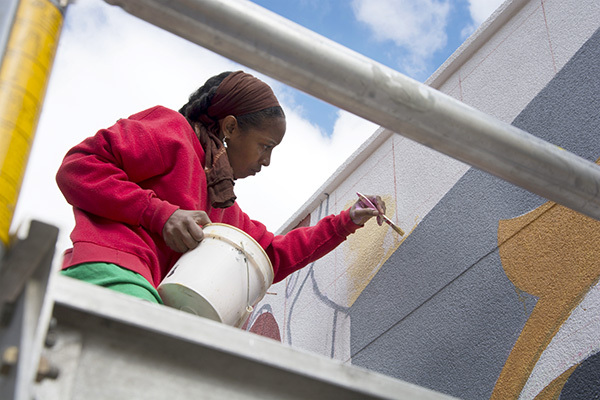 Media Credit: Olivia Harding | Hatchet Photographer Muhsana Ali, a Senegalese artist, is part of a group of painters working on a mural on the exterior of The Phillips Collection for the museum’s International Forum Weekend. The gallery partnered with the Department of State’s Office of Art in Embassies to showcase international modern art. 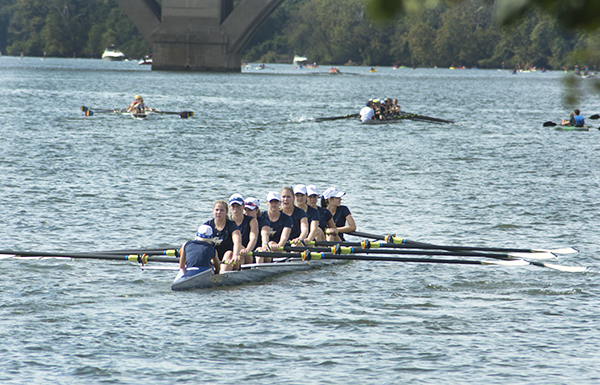 Media Credit: Olivia Harding | Hatchet Photographer The GW women’s crew team participated in the 34th annual Head of the Potomac regatta Sunday, hosted by the Potomac Boat Club. The course crosses through the Georgetown waterfront and along the Virigina coast before finishing just above Roosevelt Bridge. 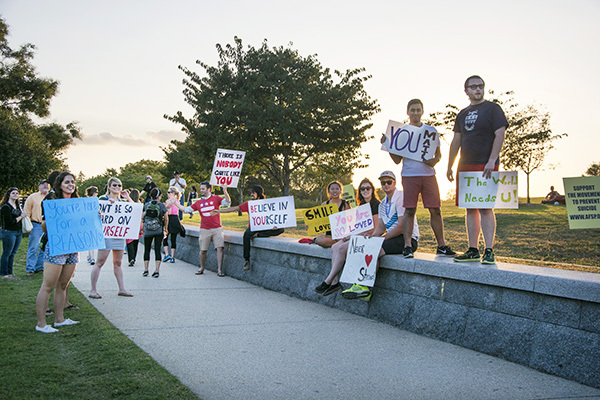 Media Credit: Olivia Harding | Hatchet Photographer The American Foundation for Suicide Prevention hosted the Out of the Darkness Walk, a four-mile suicide prevention walk, on Saturday. The D.C. walk ranked seventh in fundraising nationwide.